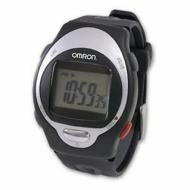 The Omron HR-100CN Heart Rate Monitor Watch is intended to be used to keep the heart rate in the appropriate zone during workouts. The system consists of a heart-rate monitor, that’s worn around the chest, and a watch-like receiver worn on the wrist that displays the heart rate. The chest belt can transmit up to 98 feet so the wrist monitor can be worn by another person or placed in a convenient, visible location if desired. It also comes with an attachment to mount it on the handlebars of a bicycle if desired. The device can be programmed to sound an alarm if the heart rate goes too high or too low, making it easy for the user (you) to maintain the desired intensity of exercise. The Omron HR-100CN Heart Rate Monitor Watch is currently only $57.49 on Amazon (which includes free shipping). The Omron HR-100CN Heart Rate Monitor Watch is very user-friendly with good documentation. Users report it is easy to use, particularly because it can be used as a basic heart rate monitor works without having to do any programming or fiddling at all. Users report the instruction manual is well-written and easy to understand if programming is desired. The watch display is reported to be easy to see and understand. It simultaneously displays the time and the heart rate, both of which can be seen at a glance, which is very useful while exercising. Users reported it was rugged and well-constructed. One reviewer reported it is sufficiently waterproof to use as a heart rate monitor while swimming. Most users reported the chest strap was easy to fit and barely noticeable once attached. Several users commented that exercise machines at the gym can pick up and read the signal sent out by the chest strap so they could watch their heart rate on the machine without having to use the wrist monitor. Some users reported that adding this device to their workouts finally allowed them to lose weight- without the monitor and alarms they had failed to notice they weren’t working hard enough to burn off fat. One reviewer commented that before buying the monitor she hadn’t lost any weight for some time but after buying the monitor she lost 10 pounds in the first month. 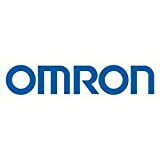 Unlike many other heart rate monitor watches, the batteries in both the wrist device and the chest belt of the Omron device can easily be changed by the user at home. Many brands of heart rate monitor watches have to be returned to the factory to have the batteries changed, or be taken to a jeweler to have the batteries changed, which is a major inconvenience. One of the drawbacks of this heart rate monitor watch is that it requires a chest belt. However, most wrist-mounted heart rate monitors on the market today do require a chest belt. Some users were concerned about the chest heart rate strap not being able to be fitted properly on large-breasted women. Several users complained that the chest monitor doesn’t work unless it is wetted down first or until the user starts to sweat. One user commented he didn’t believe the monitor was very accurate, but others reported it gave very consistent readings that were similar to the results provided by other heart rate monitor watches. In a gym setting, the surrounding electronic equipment can interfere with the transmission from the chest strap to the wrist monitor. They also interfere with each other. Users reported that if their workout partner was also wearing one of these monitors during a run or walk the two units would interfere with each other and give confusing readings. The watch band is said to be large and stiff and to not fit well on individuals with slender wrists. There are no sizing or color options- one size, one basic black color. Overall, the Omron HR-100CN Heart Rate Monitor Watch is a basic, no-frills heart rate monitor that works well. It is well-constructed, waterproof and continues to work for years, reported a number of users. It is said to be well worth the asking price, and does exactly what it is advertised to do. There are many heart rate monitor watches on the market that come with a lot of extra features, such as calories burned, the ability to download data to a computer to track and monitor workouts, and GPS link-ups to monitor the distance covered. Although these extra features may be nice, heart rate monitors that come loaded with these extra options tend to be priced to match. The complaints about interference from other nearby heart rate monitors appears to be a common problem among heart rate monitors that transmit wirelessly from a chest belt to a remote monitor. Brands that cost considerably more than the Omron HR-100CN heart rate monitor watch are reported to be plagued by this problem too.